Well done to Bellas Andy Campbell (17:25) and Claire Wharton (19:51) – 1st Male and 1st Female respectively at the 6th Anniversary Pollok parkrun on Saturday. 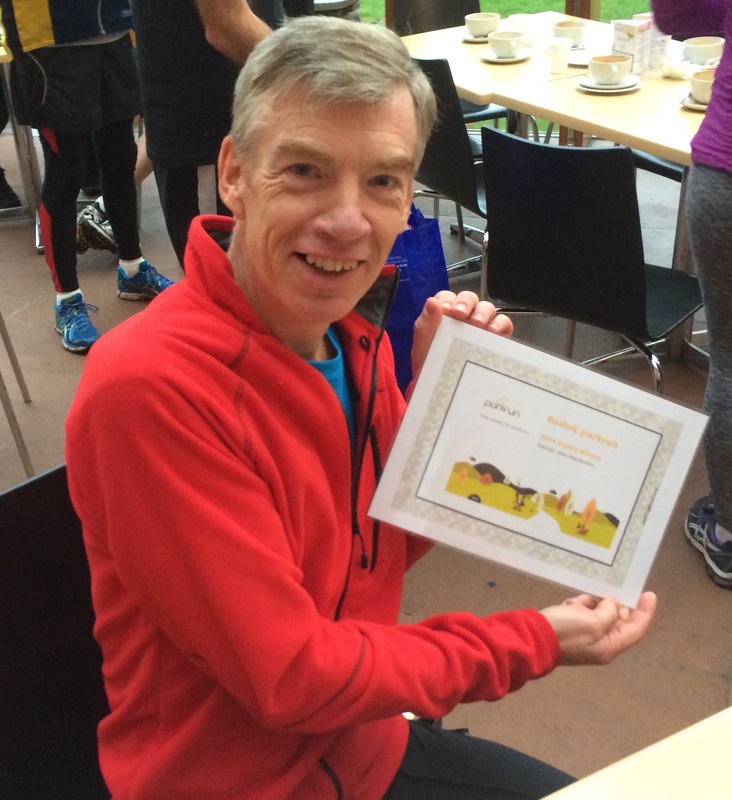 And congratulations to Derek Rankine who completed his 100th parkrun at the same event. Big congratulations too to Al Maclachlan (pictured) who won the Men’s points competition. Much to celebrate over a piece (or 3) of parkrun birthday cake in the Burrell cafe after the event. NB If you’re missing from the results, add Bellahouston Road Runners as your club on your parkrun profile – a link is given in the email with your result you received on Saturday. 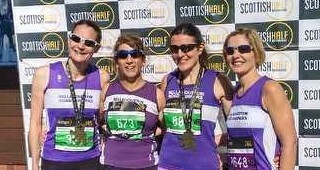 The Bletha 4 – Bellahouston Road Runners News sheet – is out!